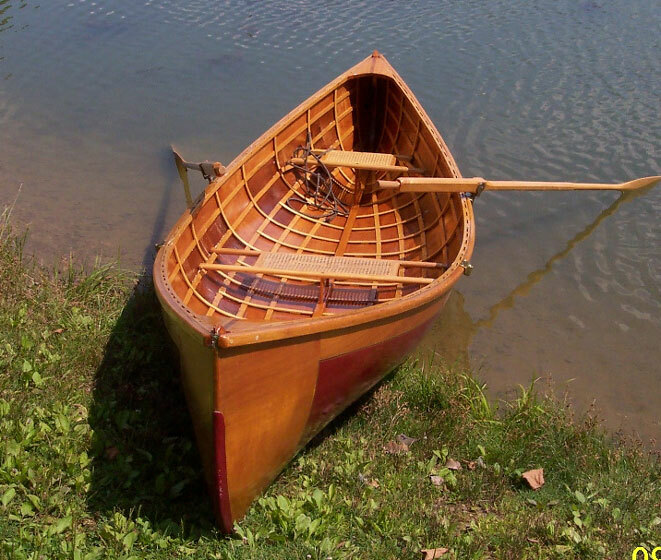 Richard Albert built this 14' pulling boat SECOND SNAKE designed by Henry Rushton (Model 109 Pulling Boat of 1884), launch ing it on August 9, 2004. He uses it on the Delaware and Raritan Canal in New Jersey, and the Delaware River. 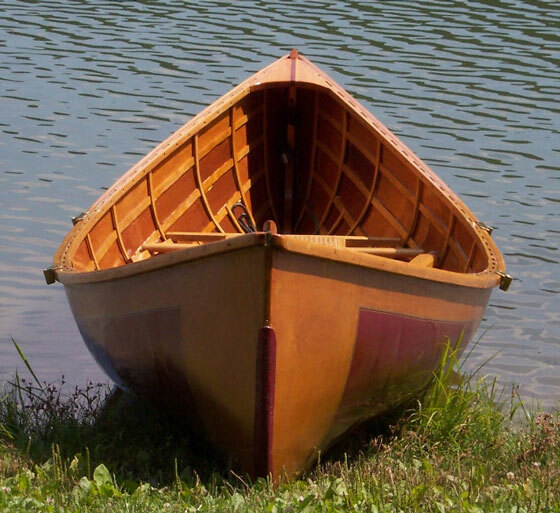 He originally planned to build this as an ultralight boat with Dacron over an ash frame. He decided to replace the Dacron with 4mm marine plywood. He feels the design lends itself to strip construction and would use that if he were building another. Write Richard at 554 Lafayette Avenue, West Trenton, NJ 08628.